Hyundai's 2016 Veloster compact delivers performance and economy in a low-slung coupe that doesn't cost an arm and a leg. The Veloster is unique among its coupe peers, offering an additional passenger-side door to make accessing the rear seat less troublesome. An available turbocharged engine and cutting-edge entertainment options make the Veloster a popular choice with younger buyers. This is my first experience with Hyundai, and I've my expectations have been blown away. I gravitated to Hyundai because I'd seen many research reports indicating the reliability had begun to exceed Honda, which at the time was a standard for top tier reliability. I've had zero problems with this vehicle after almost 4 years, including being in a minor accident. Fuel efficiency is wonderful when you drive properly, and the power is great when you don't. This is an extremely great match for a single person, or, couple with one, very small child. That it is not reliable and that the claimed warranty is not really as stated. The vehicle is small and efficient but I have had an intermittent problem with the engine/trans that they cannot fix. I have also had the car die with a blow master fuse that was not covered under the "bumper to bumper" warranty as well as a torn seat bolster that I had to repair out of my own pocket. I do not understand a "bumper to bumper" warranty that does not cover things. I would not recommend Hyundai for these reasons. Compact car that sounds fast with all the bells and whistles. Going over bumps the suspension is not that great as compared to other vehicles. Trying to find places to put air into my tires is a bit of an issue since I have the green caps that only allow a certain kind is a little frustrating. All the features are great for the price Bluetooth, full screen for the music listeners. My Audio features are probably why I purchased that car I. The first place. 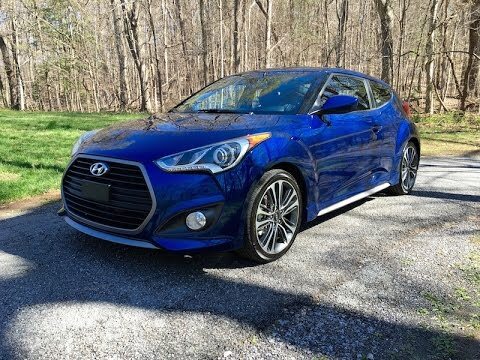 5 Things I Hate About My Hyundai Veloster!